In recent years, much of the focus in the trucking industry has been on improving driver efficiency and safety, as well as boosting hiring. One way in which the sector seems to be focused on the former two issues is by supporting the federal government in its efforts to put more effective drug testing measures in place, which can go a long way for drivers, freight companies and other motorists all at the same time. Part of that comes in the industry organization the Trucking Alliance voicing its support for the Opioid Crisis Response Act of 2018, which was enacted in late October, according to CDL Life. Specifically, the aspect of the bill that will pertain to the trucking industry is by allowing companies to use hair follicle testing for drug screening, rather than urinalysis. Follicle testing is more effective and accurate - as well as cheaper - in part because drugs can be detected for up to 90 days after use, as opposed to just two or three for urine testing, the report said. As a result, the Trucking Alliance is pushing for the U.S. Department of Transportation to change regulations as soon as possible. "[O]ur data shows that a urine exam is missing as many as 90 percent of all opioid and illegal drug abusers who are applying for work as a truck driver," said Lane Kidd, Managing Director of The Trucking Alliance, according to CDL Life. "The trucking industry has an opioid crisis and we must reform the system to make sure that opioid abusers are not operating large trucks on the nations highways." 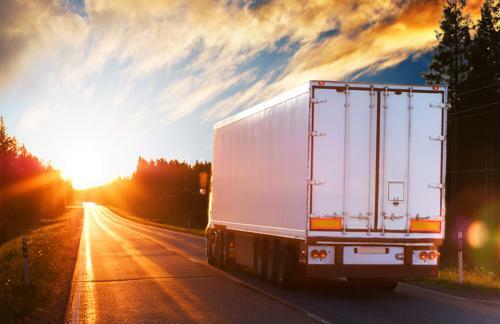 The fact is that opioid abuse has become all too common in the U.S. for a litany of reasons, but it poses significant safety issues for truckers in particular, and it's fairly widespread within the industry, according to Trucking Info. Data from the Trucking Alliance - which is also known as the Alliance for Driver Safety & Security - shows that just one of the nation's largest carriers (J.B. Hunt Transport) had more than 1,200 people test positive for at least some drug use in their follicle screening in 2017, the report said. Of that number, 47 percent tested positive for opioids, compared to just 16 percent for THC, most commonly found in marijuana. The issue for the industry is that while some companies are increasingly relying on follicle testing, it's not the industry standard, so a DOT regulation would - in theory - significantly improve industry safety, the report said. This is also an issue for truckers and freight companies as more states move to legalize marijuana use - 28 now allow it for medical reasons and four have fully decriminalized it - but that has led some companies to see more drivers self-report drug use of some kind, according to Fleet Owner. In 2016, about 1 in every 11 drivers self-reported, up from only about 1 in 14 three years earlier. Driver safety - both on the roads and in their personal lives - should be of the utmost importance to freight companies. Doing more to help detect and deal with driver drug use therefore ought to be a top priority for any firm.